As soon as I'm done with this post, I'm going to box up a bunch of toys and send them in tomorrow's mail. Edmay, thank you so much for writing, and for everything you're doing. Your granddaughter will indeed be proud. 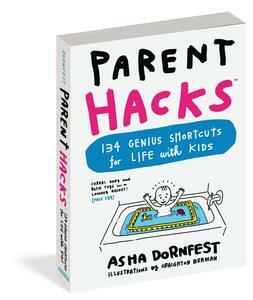 Parenthackers, please spread the word! Wouldn't it be amazing if Edmay were able to distribute toys donated by people from all over the United States? Think of the good will such a simple act could create…in a place that needs all the good will it can get. If you don’t have any toys you can send, you can also do what I just did–went to http://www.orientaltradingcompany.com and had some stuffed animals sent directly to her. Will that postal address work if sending from outside the US? We are gonna get a big package together. Great for us to pass on our son’s toys to kid’s who can enjoy them. I just posted this on my blog (including trackback to here) as well. Hoping you never have a lack of toys to give to the Iraqi children! I blogged it for you this morning, Asha, and I’ll be boxing up a bunch with friends of mine from the neighbourhood! Thanks for the heads up! Any fellow Freecyclers out there ought to place the address on their home Freecycle.org site in the Wanted section. wow, I will start a collection. This seems like a good way to ease my worried soul about this awful Iraq occupation. Thank you so much Edmay for doing it and Asha for posting about it. I love this idea! I’ll give it some pub on the radio in Omaha, NE this afternoon. Thanks for sharing the info. Would you like gently used clothing as well? Lisa q, yes, gently used clothes would also be great — school supplies and of course toys for them. I will continue to get the candy from http://www.orientaltrading.com. They cannot seem to get enough of the candy either. To all: Thank you once again. This is so wonderful and J. Pat pub on the radio in NE, oh, wow! God bless each and every one of you for all you are doing for these precious children. Hi there, i have tons of stuffed willing to donate, where do i send them? email me back so i can send them off. I am Mothering magazine’s web editor, and have written an activism alert about this effort, which will post at http://www.mothering.com next week. It will be featured on our homepage Tuesday (and in the activism section before and after). Our site draws enormous traffic (11 million page views a month), and I truly hope this will generate an abundant response from our readers. Your compassion is inspiring and uplifting. PEACE! A few weeks ago, I ordered some stuff from Oriental trading and they accidentally sent me a dozen Christmas bears. I called to tell them and they said to donate them to children somewhere. The thing is, they’re Christmas bears wearing Santa hats. Would they be inappropriate for Muslim children??? Edmay I am a member of a group that sends goodie boxes to our troops as well as adding extras for the children in the area. From that I have learned that a lot of the children love balls as well. Would you be interested in balls or are they just to much to handle? Also would you be interested in getting goodies for your unit. It is usually snacks and little things just to let the troops know that people at home are still thinking of them and Praying for them. I know you are busy but if you have time to email me I will be willing to explain more if you are interested. I’ve just posted a link to this blog on the iVillage (UK) board I contribute to, so hopefully you will be getting some parcels from the UK as well. My little boy is 6 months old, so probably won’t even notice if some of the TONNES of toys we’ve been given suddenly disappear. My husband (who incidentally is in the Royal Navy and has served in Iraq) also suggested that for Christmas, rather than buying our small son loads of toys that he frankly won’t appreciate, we ask our family members to donate to a child related charity. All the best with your efforts, it is an admirable endeavour. What about beach balls? They will be easy to ship. I am so touched by Edmay’s beautiful heart and by the generosity of all who are giving. I plan on ‘finding new homes’ for many of my sons things to send along as well. I certainly don’t want to rain on the parade, but I do want to raise an issue for consideration. Westerners often give candy to kids they meet while travelling and unfortunately the kids’ teeth end up suffering. Often there is an overwhelming lack of the dental care that we are used to in our country and I’ve seen slideshows of the rotting teeth of the local kids in tourist areas of rural Mexico, Africa and Nepal compared to the much healthier teeth of kids in the areas where Westerners do not go (and hand out candy). If you are faced with a choice of making a child smile by sending something to hug versus candy, please consider choosing the hug. Thanks. i think its great that y’all are doing this. my husband is in the army as well, we’re in germany right now, and he id deployed to iraq, but due to come home very very soon…. Wow, what a wonderful idea! I have been looking for a worthwhile cause to send gently used stuffed animals and was happy to stumble on this web site. I recently received the mailing boxes from the postal service and will be sending quite a few stuffed animals for the kids. I’d love to see their faces when you pass them out! Keep up the good work! I’m trying to use USPS/Clicknship to mail 3 boxes of stuffed animals to Edmay Mayers. For some reason their online form will not accept the address that was provided. Help, there are lots of goodies for the lovely children of Iraq waiting! This is a wonderful idea. My daughter was very enthusastic about this project and we have put together 2 boxes of stuffed animals to go. Thank you so much for organizing this. This is a great find, thank you, I have numerous stuffed animals from my childhood that are looking for a new home! They will be happy to be in the hands of those children of Iraq. Many boxes will be going out within the next few weeks and I will spread the word as well! Edmay you rock! We will send a package soon. Keep up the good work. Is this still a valid thing and is Edmay still there and if so for how much longer? I do not want to send a box and have no one to receive and pass out the toys. Thanks. and i must say i’m not sure how i feel about this. i want to help the victims of this war. but the best way to help them is for them to have peace. we started this mess, as americans. we cannot think that giving out some stuffed animals and school supplies, while kind and sweet a gesture, is going to truly help these children or their country in the long term or on a wide scale. what good is a stuffed bear (i know the children like toys, but they are so young, they don’t understand they are being deprived of so much more) so what good are bears and dolls when they don’t have enough to eat, when they don’t have basic needs? i think an education is most important, and i love that you, edmay, are trying to help by giving school supplies. i truly feel that is the only thing – education – that can help bring people out of poverty. but the link above disturbed me bc it referred to the previous schools scoffingly as being built from mud. now, that might not sound like a lot to many uninformed americans, but in many countries, in small villages, that is the norm for schools and houses alike. what is wrong with a mud school as long as the children are learning and able to blossom in a safe environment? i wish we were not imposing our own standards of progress, capitalism, and westernization on a culture that is much older than ours and has their own way of doing things. to me, it’s a shame that we all have to step in line with the western way of doing things. it all comes down to money – that’s why so many wonderful people join the army and are then dismayed when they realized there is no clear cut right and wrong – just a whole lot of grey and a bunch of sweet children to underscore the disgusting nature of war in the first place. we have created a situation that has basically turned into civil war. we don’t know much about these people, their beliefs and their long mistrust of each other. our being there only complicates the situation further. i worry for our soldiers, for their families, for the innocent iraqi civilians that continue to die. i feel it is best if we can empower them to help themselves instead of judging their way of life, ie, mud schools. the priority right now is peace and prosperity. please let me know where to send school supplies and what school supplies you need most. i would love to turn this into a nationwide campaign where schools all over iraq can benefit. please forgive me if i have offended anyone – i am just trying to make sense of this difficult situation. love and peace to all. Pia: While your sentiments are totally valid, I prefer to keep the focus on the amazing and generous work Edmay is doing to bring joy to kids in Iraq. Politics aside: whether that joy lasts for a few minutes or for a lifetime, what matters is that it happens at all. Certainly stuffed animals won’t solve Iraq’s problems. But they will brighten the days of its children. Thank you for the suggestion of school supplies — Edmay watches this post for new comments, and will be in touch here. yes, i definitely agree. i too want to focus on the great work edmay is doing – now that we are in this war. so, thank you for refocusing the discussion to her work. i will have my school gather supplies and donate toys and mail them to edmay. peace and love to all. I think you are doing a wonderful job, I am sending my stuffed animals over to germany on a C-17 with my dad and he is going to send it through the APO so it doesn’t cost anything for me. My twin daughters were very excited but puzzled when I asked them to go through their toys and pick out the ones they would like to give to other little boys and girls who don’t have any toys. They are only 4 years old and they just couldn’t believe that other children didn’t have toys to play with. I hope my little bit helpsTake Care and God Bless you and your work. What a great cause. I have five large boxes filled with soft toys, hand made blankets and quilts, shoes and clothes all ready for love. I also have sewing and knitting items. Would they be of use there? thank you so much for the work you are doing. I mentioned you on my Podcast (materialmama.com) and will update my audience next week. I am making some stuffed animals and dolls to send in the next shipment. Many blessings on you. I know each child will carry this small token of our love with them their whole life. Two days before finding out about this effort, I discovered the book “Boxes for Katje” — about a girl from Indiana who sent boxes to a town in Holland after WWII. Any doubts about the impact this effort are bound to evaporate. I’ll be giving it as a gift any chance I have! Are you still looking for donations of stuffed animals? This is a great thing. I just blogged about it too http://www.moderndaydad.com/mdd/2007/02/send_old_toys_t.html), Hopefully it will generate some more donations. My daughters and I are going downstairs now to put together a box. I have previously sent several boxes of toys and am wondering whether girl’s winter clothing, including items like pink boots are appropriate in terms of weather and otherwise. Thanks again for all your amazing efforts. I’m heading up a send off of lots of toys that our little ones have outgrown here in Park City Utah. You completely ROCK Edmay! These will be mostly baby and toddler toys, I hope you have some wee ones to pass these onto- I have everyone meeting at the post office on Thursday the 22nd, so the goodies should arrive in a couple weeks after that. Keep up the amazing energy, tell all your friends and colleagues that we are thankful and proud! Yes the little ones can use the wee little toys. The baby’s orphanage is from 1 day old to 6 years old. Yes, please send the pink boots, they will love them. To all once again I thank you. Asha, you are one amazing lady and I am so thankful to have “met” you. Bless you lady. If anyone needs to contact me please use my yahoo account – edmay1230@yahoo.com – instead of my work email address. The 1/34th are coming out this week to pick up boxes of toys with a 5 ton truck – see how wonderful you all are. They have offered to take me out with them but I know my Colonel will not allow me to be outside the wire as it is not “mission essential” for me to be there. So, the 1/34th are taking their PAO to take pictures and will share with me as I will share with you. Is this address still valid. My daughter is 9 years old and we have both been trying to find a worthy cause to donate her MANY stuffed animals to and this looks ideal!!! I am the Community-Based Curriculum Director at ANSER Charter School in Boise, Idaho. We are currently in the middle of a session titled “Diversity & Inclusivity”. I have over 10 modules involved in some type experience that will open up little lives to the diversity all around us and how we can be people of incusivity. One of my modules is “Friendship Dolls”. It is based off the the 1927 experience between American and Japanese school children exchanging dolls as a symbol of friendship and cultural awareness between two countries. I have 12 students who just about finished making some beautiful dolls, wrote a short story about their doll and now are ready to send them to Iraqi children. The contact I originally had no longer will be able to help us, so I went on-line to see what I could find and that is where I found you! Can we send these dolls to you> Would you have some children in mind for these dolls our students (10-12 year olds) made? I’m a teacher and I’m out for the summer. My first job was to tackle my overstuffed attic. I came across 7 years worth of my daughter’s stuffed animals and hated to throw them away. I’m so thankful to have found this website and the story of Edmay! We kept packing them up hoping to find a worthy cause that would take them. Thank you so much for doing this for the children of Iraq! I’m contacting the post office today and will pack them off next week with the help of my daughter. What a great learning experience for her! I will definitely by passing on the informations to my friends and colleagues! I moved and found boxes of my stuffed animals. I cleaned them and would like to send them to you. Are you or others still giving them to the children? Is the address still valid?? Thank you so much for your love of these children. I too am a teacher, and I am working on cleaning house as my summer project. My daughter has a plethora of toys that she (now a teen) no longer wishes to keep. What a wonderful opportunity for her to know that she is doing something great by donating her beloved items to Iraqi children! Please do keep us posted on the availability of this link to you, as I intend to involve my school classes in this project in the fall. I want to make sure that we can continue to get the collected items to you, or to your replacement once you return at the end of the year. May God bless you, I know that the children in Iraq will remember you always. How lucky I feel to have discovered this site! I’m boxing up my daughter’s dozens and dozens of unused stuffed animals and toys now. We are thrilled to know they will be helping other children halfway across the world to know that they are loved! Thank you for your work Edmay! Edmay, I just discovered your program online and am happy there is a place I can send my like-new stuffed animals. I am hoping that you are still accepting them and plan to send several boxes this week. Thank you for sharing your generous spirit. Asha, I am posting this in two places – I hope that is okay with you. I will have Michael email you and introduce himself, etc. Thanks so much lady for all you have done – it is my hope that we meet someday in person. Bless you, Ash. I am a high school senior, and I would like to start a toy drive at my school. My family is from the Iraq, and I have been greatly affected by the kids over there. I was wondering if it would be ok to send the toys to you, and if so, is there anything else that could be sent? Thanks. Can someone please tell me if it is still okay to send stuffed animals to the above address? I just stumbled upon it and I have about 5 or 6 boxes to send! Any info would be so appreciated! Thanks! My email address is tmarie8300@aol.com. It’s now mid-October and a month since the last post on this site and I was wondering if they’re still accepting stuffed animals and other children’s items. Let us know. Thanks! Yes they are, Violet. The mailing info is at the top of the page. Thank you so much. thanks so much for your service and generousity! My 8-year-old and I just put together a huge box of stuffed animals for kids in Iraq. Are you still handing them out? If not, can you please give me an address of someone who can get them to the kids of Iraq? I am wondering if they are still receiving donations? Also, are toys besides stuffed animals accepted? I would love for some of my childrens’ toys to make someone else happy. If they don’t accept them, does anyone know who I can donate these toys to? Thanks so much! Hello – I have a lot of stuffed animals and school supplies to donate, can I still send them to these people? I just discovered this address and wondered if toys are still being accepted by Michael or Natalie? I sent the package on Dec 4th.. I really want to send some stuffed animals, but I’m not sure how current this post is. Is the contact info at the top still valid? I think this is so amazing. I have many stuffed animals from when I was younger that I really want to give to the kids. And i mean that i have A LOT. I’m worried about how much it costs to ship, and do I just pile them up in a box? Madeline I too worry about the cost of shipping. I posted an article regarding the children and women of Iraq needing warm clothes – I posted this in 18 bathrooms at work – 9 women and 9 men and I have boxes upon boxes of items to ship – mostly coats and blankets. I also have a box of shoes, several boxes of clothes and more blankets and more coats coming. I don’t dare tell anyone that I cannot take what they have to give so I am sending a little at a time. That is the best I can do at this point. So believe me we don’t only appreciate everyone opening their hearts and giving items but we are thankful that they are willing and able to ship the items to us for the people of Iraq. God bless each and every one of you – you truly are amazing. Thanks from the bottom of my heart to all. With the deepest respect, Edmay. Hello I am wondering if other toys are accepted also, like dolls (not sure if they are okay or not). Thanks! I am also interested in knowing what the average postage is, I would love to hold a toy drive and postage fundraiser. Hello, posting a second question. Can girls wear pants if we sent clothing? I also have tons of baby blankets..are those something that can be used? Yes, the girls do wear pants – they will love whatever you send and believe me they will wear them and make great use of everything. Oh, my, yes, dolls are great – the only problem I had was when I was sorting thru all the boxes I had to remove the Barbie dolls that had no underwear and the baby dolls without underwear…. I tried making some with crocheting while I was still in Iraq but did not have time. I have set aside all those dolls until I do have time. To all, please send what you can – they love every bit of the “gently used” clothes and toys – thanks from the bottom of my heart. God bless each of you. I am sorry I did not answer your question on postage. Send every thing SAM – Space Available Mail instead of Priorty Mail — it is less expensive to send it SAM. I am a Platoon Sergeant currently station in Central Iraq. Myself and my Soldiers work closely with the Iraqi communities. I was wondering how to get donated stuffed animals. You would not believe what the stuffed animals mean to these kids. The excitement in their faces is just unbelievable. If anyone can help me out on this, it would be greatly appreciated!!!! Thanks for your time in advance!!!! To Platoon Sargeant Crow can you please tell me what else you need for the children. Do they need clothes, pencils and stationary. Thanks! THIS IS SO GREAT I WILL START TO GET THINGS TOGETHER AND I WILL POST THIS AT THE SCHOOLS AND THE DISTRICT OFFICE AND SEND IT TO ALL MY EMAIL ADDRESS’S. WHAT ELSE CAN THEY USE? WHAT ARE THINGS THAT SHOULD NOT BE SENT? THIS IS SO GREAT I AM SO HAPPY THAT MY FAMILIY AND I CAN HELP. Items that should not be sent are Barbie dolls with no clothes on them; all Baby Dolls should have underwear on them too or a diaper. We never want to offend anyone and those would be offensive. Thanks for asking. All other toys are fine – they love the trucks, cars, dolls, balls, etc. To PSGT Crow – my daughter has gone through her beloved stuffed animals and come away with 140 that are near-new and ready to be loved. I am a leader from Cub Pack 84 in NJ. I would like to offer a drive for slightly used stuffed animals. Are you still accepting? Is there a place that lists what else you could use? We are having a Blue & Gold dinner on Sunday, and I would like to distribute materials for this. This sounds t be a great humanity effirt. I am assuming it is still in progress based on the dates of the comments – but mailing the items is foreign to me. Can I send a medium sized box to Sgt Crow and he will get it in Iraq? Is this program still in progress? If it is – God Bless all of you! I am going to start packing items as soon as I am sure your are willing to receive them……. I am so happy to find a worthwhile place to send our stuffed animals. Thank you so much for doing this. I am getting a box ready to send out this week! I am a military spouse – we’re in Germany right now and I’m preparing a box to send off… I was wondering about a need for baby items, however. I have a lot of baby clothes and toys that need to find a new home. Thanks! Where else in the world, with address provided, can I send used faded clothing? USA thrift stores will throw it in the trash even if it has no holes because they cannot sell it to Americans. Where in the world are people not so spoiled that they will go ahead and wear faded, stained kids clothes? I need physical addresses where I can send boxes for hand out, given away free donations to the poorest. All I am finding on the internet are charities who only take money or “like-new” reselable clothes. The babies orphanage will take the baby items as they do need them. There are three orphanages in Nasiriyah, Iraq which is the nearest town to base. We have friends that take the items to the orphanage for us. Thanks for caring. Regarding soiled and faded clothes: We do give out “gently used” items but if they are too soiled or faded I don’t give them out – so if you want to send them Tonya will have to go thru them and see. I am pretty sure that they will be able to use them. Thank you for caring too. something to do with them. Please let me know ASAP if possible!!!! Can anyone who has sent a large amount of stuffed animals to Iraq tell me which shipping service they used and how much it cost? I’m hoping to send two bags but I don’t know if I can afford it if the quotes that I’m receiving are correct. Thanks! My daughter’s first grade class is gathering up toys to ship out in the next few weeks. I am “Room Mother” and am composing a letter for the parents so that they know what this is all about. Except for making sure that dolls have underclothes, is there anything that I should be careful about? When can we send them till? I have a whole bunch of stuffed animals I would love to give away before I move out. From Beanie Babies to bigger stuffed animals like tigers and monkeys and bears. Tiffany, that is the only thing I can think of right now except for any religious things, such as, praying bears. All others are fine and thank you so much for your generosity. If you want more information please google my name “edmay mayers” and several articles should come up that you could print to explain it. It is not just me in the articles which you might find interesting. Rachel, I am sure Tonya will be there for awhile longer and when she leaves someone else will take over the program. As long as USACE (the Corps of Engineers) are there, the program will continue. So, please continue to send your items to these precious little ones. Thanks so much for your kindness. To Platoon Sargeant Crow are you also still wanting stuffed animals for the children? My daughters already have several boxes ready to go, we were going to send a couple to you & a couple to Tonya. Please let me know. Thank you so much for your service to our country & to the children of Iraq!!!! I sent several boxes to Sgt. Crow a month or so ago. I just wanted to let you know that the post office does not allow you to ship SAM (Space Available Mail) anymore. I did have to ship them Priority. It was expensive – about $75 for six small/medium boxes. I have one last large box to send but I’ve been saving up for postage. Is Michael Fellenz still a contact name, or has that changed to Tonya? I did not know the postal services changed to “priority” only mail for APO. That does ot seem right to me, Space Available was less expensive – wow. Thanks for sending to the good Sgt. I’m a Co-Leader for a Troop of Brownie Girl Scouts in NY and we collected stuffed animals from our Troop to donate to children who are in need and I think this is a great thing you are doing. I plan on sending boxes Tonya by the end of the week. Thank you for doing a great job! Want to be sure this is the correct address to send the stuffed animals. Can someone please confirm? That is the address I’m sending some boxes to today so I hope it’s right! USPS now offers a flat rate Priority Mail APO/FPO box that costs $10.95 to ship to an APO/FPO address, no matter what the weight. You can order them from usps.com (min. of 10) and have them delivered to your house and the boxes and delivery are free. FYI – the flat rate APO/FPO boxes are $10.95 for up to 70 pounds to ship to any APO/FPO address. I crammed a 13 gallon trash bag worth of stuffed animals into 2 of these boxes. I just packed up 3 boxes of stuffed animals to send tomorrow. Thanks for telling me about the usps having the boxes delivered. I gave some to my friend. Her children are older and she was just saying she needed to donate all their toys and stuffed animals. This is a great cause. We still send the boxes to Tonya, right? Thanks to everyonewho has donated in the past and those that plan on donating. Thank you Edmay, as I said earlier, I sort of fell off the map here. It’s a different environment and I needed time to become adjusted here. We’d love the jackets, I’m sure they’ll fo to good use. Thanks….. I just ordered the boxes! Looking forward to sending our animals your way! As far as school supplies go would “slightly used” items be acceptable? So happy to have found this site… I have a lot of barely used infant boy’s clothes… all very beautiful. Can I send them to along with the stuffed animals? Also a lot of baby blankets and toys…I have a lot to donate and would love to help out. I read here about getting shipping supplies through USPO and a flat-rate up to 75lbs… is this still going on? I am sure they can use everything you send. Gently used is just fine. Thank you for your kindness. I just started uploading pictures of my tour here in Iraq. I’ve tried uploading as many pictures of the toy collection and distribution as I could. More will be coming soon. Sorry, the link didn’t show up. This is great! I have several used stuffed animals that I have been saving from when my children were little, and would love to share them with others. I will send them to you right away. Thank you Edway for helping and caring about others!!! Is anyone still taking clothes or stuffed animals,toys? Do I send them all to the same place or different. I have michael r fellenz for stuffed animals and tonya myrick for toys? It does not make any difference if you send the toys, clothes, school supplies, etc. to Michael or to Tonya – the children of Iraq will benefit. Michael and Tonya are located in two different areas of Iraq and both are more than willing to accept and have the items distributed throughtout Iraq for the children. Thank you all for being so wonderful and keeping this program going. The children are lovely and precious and do so appreciate your kindness. God bless each one of you/much love, Edmay Mayers, USACE, New Orleans, LA. I don’t understand why the cost would be that high. I know it is costly but that is really unusually high. Did you have it checked with the Post Office? Another way to ship is to use the Expess Mail boxes – THE ONES THAT IS ONE PRICE – you can stuff them as fat as you possibly can and it costs one set price. This way you can send some now and some later. If you contact the post office all the boxes are free for express mail. Good luck and let us know. Thanks and bless you. Regarding shipping, go to usps.com and order the (free) package of 10 flat rate Priority Mail APO boxes. They will be delivered to your house. Granted, they are not very big, but you can stuff a lot into them, and the weight limit is 70 pounds per box and it costs $10.95 per box. I think $200 seems awfully expensive as well – I do know that it will most likely cost more if you use UPS or FedEx as opposed to the USPS. I also want to note that I got a very nice photo and note from Colonel Drolet thanking me for my donations. Sharon, (Natalie’s sister) can you please have your sister send me an e-mail. I have been trying to reach her without success. I have some great photos of Natalie in the Toy Box when we worked together at GRS and would love to post them on my blog. I’d prefer to ask her prior to doing so….Thanks and god bless everyone for sending your items. I try and post pictures of all the toy and clothing distributions that occur between the GRS districts. New pictures are posted now…..
I’m heading to the post office to mail two boxes to Michael. I wanted to post a little tip for getting a few more animals in the flat rate boxes. I used a Space Bag. These are bags that you vacuum the air out of and they sort of “shrink”. I was able to get a lot more animals in the box using that than I would have otherwise. You can usually find those bags at Wal-Mart and Target (I had gotten mine at BJs). Once the bags are opened everything “fluffs” back up. Lori, that address is still good and I receive boxes here regularly. I usually try and update my blog daily (although I don’t always seem to) and thank those families whose boxes I’ve received. Please check my blog for updates and feel free to browse the pictures I’ve uploaded. I just sent a box of stuffed animals to Edmay’s address. Is that ok? is this still a valid place to send the stuffed animals? With Christmas right around the corner, I am hoping to donate some of my daughters toys. I am stationed on a military base in Japan. We regularly send clothes to the military bases in Afghanistan, but I didn’t know we could send used toys to Iraq. I will definetly spread the word. My question is can we send the boxes by MPS, this is how we send our stuff to Afghanistan? Hi, I just wanted to say that I am so impressed with what everyone is doing for these children, my seven year old was also, and she and her fellow classmates are doing a stuffed animal drive, we want the items to be recieved around Christmas, how far in advance do we need to ship?? Also, the kids are including some Christmas cards for the troops, should we ship those seperately? Thanks, and God bless. I mailed two boxes to you back in September. I had delivery confirmation on both of them but the only information that shows when I search them is that I mailed them. Do you recall if you received them? I know you received a lot but I just hoped they made it to you. I have new toys, books and clothes for children and some gift cards for the soldiers. Can we still send them to this address? To all, thank you so much for continuing this great mission for these lovely children of Iraq. Asha, I can never thank you enough for all you did for the children and are continuing to do. God bless you always. He keeps it up-to-date and has interesting stories on it, pics of the children, etc. So if anyone wants to write to him please do so. He will answer any and all your questions. Of course, you can continue to send the toys, clothes, school supplies, etc. to both addresses listed on this post, to either Michael or to GRS. I will be returning to Iraq early in 2009. I will be going to Kirkuk and will supply my address as soon as everything is “written in stone” on my deployment. I am so excited about returning – I have prayed so hard for this deployment. I will keep all informed of when, etc. God bless each and every one of you wonderful people for helping take care of these beautiful, innocent children. Are any kind of toys o.k. I have some action figures and little tyke type toys I was going to try to donate somewhere, I would love to send them to the children of Iraq. Some play music, some are musical. Please let me know. Is this still ocurring today? I noticed that the comments are from 2006…my sorority is extremely interested in helping out! Hello! Are donations still being accepted at the address posted on the 7/08 update? Thanks. I have a ton of gently used stuffed animals to donate. Do you have the name and address of the current person to mail them to in Iraq? Thanks. I will assure you, the children of iraq will be delighted with whatever you send. I am back in Iraq and would love to have boxes of toys, clothes, school supplies or whatever items sent to me again so I can get them distributed to the children of Kirkuk, Iraq in the North. I recently Googled “donate stuffed animals” and this is essentially all that came up. I have two huge Rubbermaid tubs packed full of Beanie Babies. I was going to look into giving them to the hospital, but most won’t take stuffed animals due to allergy issues. I have never shipped outside the US so I’m a little reluctant. Is the address ending in 09331 still correct? Are you still in need of stuffed animals? Any suggestions on shipping since I have never done it before? Thank you! It is YEARS after this orginal post. Is this still a good address? My kids will let go of some of their toys and stuffed animals if it is going to help these kids. I cannot thank you enough for doing this. My family gained more than we gave. My son is autistic and autistic people struggle with empathizing with others. I hoped this project would be a good teaching moment. It took a lot of explaining, but he finally understood how wonderful it would be to send his toys to the children in Iraq. He now wants to go Kidziniraq (I think he thinks that’s the name of the country!). The posted pictures were a huge help in teaching him about helping others. He even helped me pack the box! If anyone is considering sending items, it’s cheap! US shipping rates apply, and the postal worker understood exactly what I was doing. The form I had to fill out took less than a minute. My son now wants to send pencils, crayons, markers, and paper so they can draw pictures. Oriental Trading Company has great packaged crafts and supplies at great prices. Bless you for showing me a different side to this complicated situation. These posts are old, is this information still good? I’d like to take up a collection in my area and send some toys. Let me know. Thank you! Is this program still going on? Our women’s ministry would love to start collecting item’s to donate. It’s Sept 2009 and I have lots of like-new Beanie Babies and other stuffed animals to find good homes for. Can you tell me if the address for sending plush toys to Iraq is still the same? Thanks! Does anybody know if this address is still good. I have some brand new stuffed animals I would like to send along. I will not check this site again, so place email me somebodysmom77@yahoo.com with a good address to send these too. Please let me know if you still need stuff animals? I would like to help, but before I do I need to knoww if you still need them? Thank you. are you still collecting items for iraqi children?? I to would also like to know if they are still accepting donations for stuffed animals. Please let me know!! Hello I am a parent in NJ and would love to help. Are you still collecting stuffed animals for kids in Iraq. I would love to do a collection at our Elementary school and send them to you. Please let me know if you are still collecting. Please reply at my email address. It is just after Thanksgiving 2010. Is there a more recent address to send toys, etc to Iraq than M Fellenz APO address? did you get a reply, i have a huge box and would love to send it, but not sure if they are still collecting.